I call this day Blessings & Beauty over here but it's really a day to stop and just be thankful. Take a deep breath and notice those things around me that too often I take for granted. We get so caught up in just doing life, sometimes we blow right past those moments God gives us to simply savor. My goal is to notice on thing each day and write it down...so here's my list from the last week. I've noticed this thing happening lately that at first I struggled with. In fact, it's been a struggle for the better part of a year...gray hair. Nothing has made me feel older. Oh, a few things have come close, but this is the one that puts me over the edge. Not even going to lie, I make sure to cover it:) Easy to do right now as it's only a few strands, but they are still there. 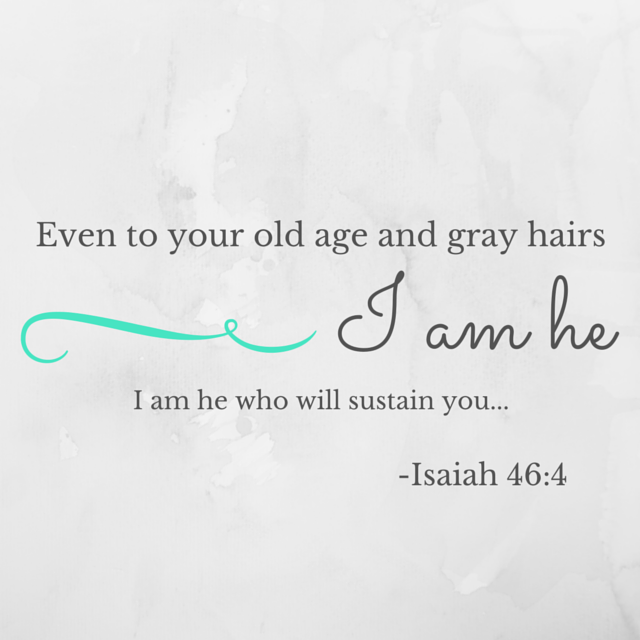 Still, as I've challenged myself this year (and let's be honest, it's really a challenge from God) to measure my worth through him and him alone, even the site of those gray hairs is changing. They are beautiful. Each one earned. Each one a reminder that God has blessed me with life. And wisdom. I'm aging, no denying it. No denying either that as we age with God it is a beautiful thing. We are more than a number:) And I'm going to take as many numbers to my years as he wants to give! Praying you know you are more than a number today and that your eyes are open to the blessings around you and beauty in you today!